The girls and I love an Italian spot. 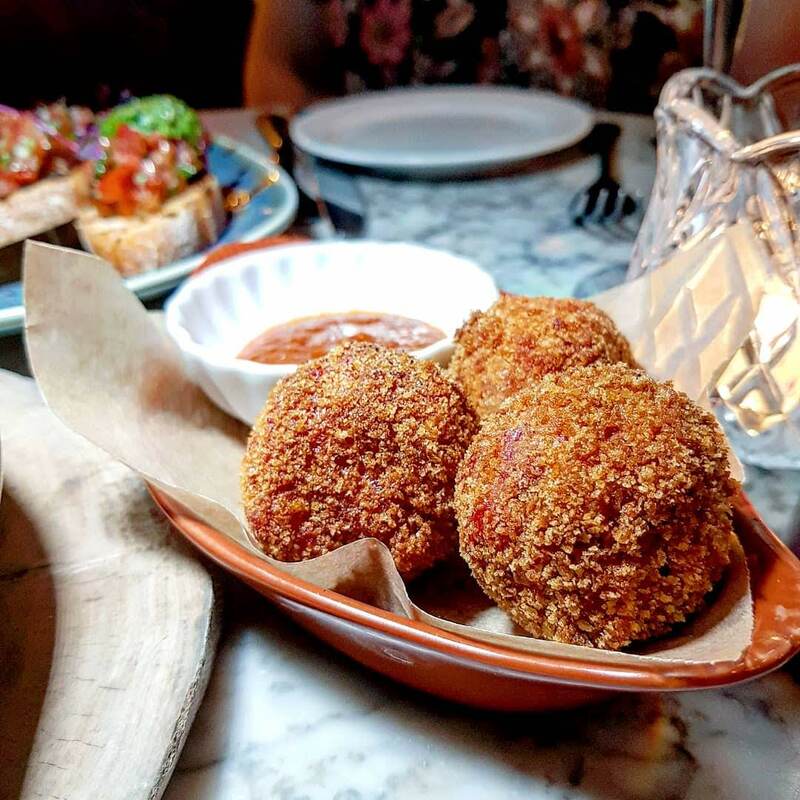 It’s just sort of become our go-to cuisine when looking for somewhere to organise our dinner catchups. Sucked in by the pasta, burrata and arancini. 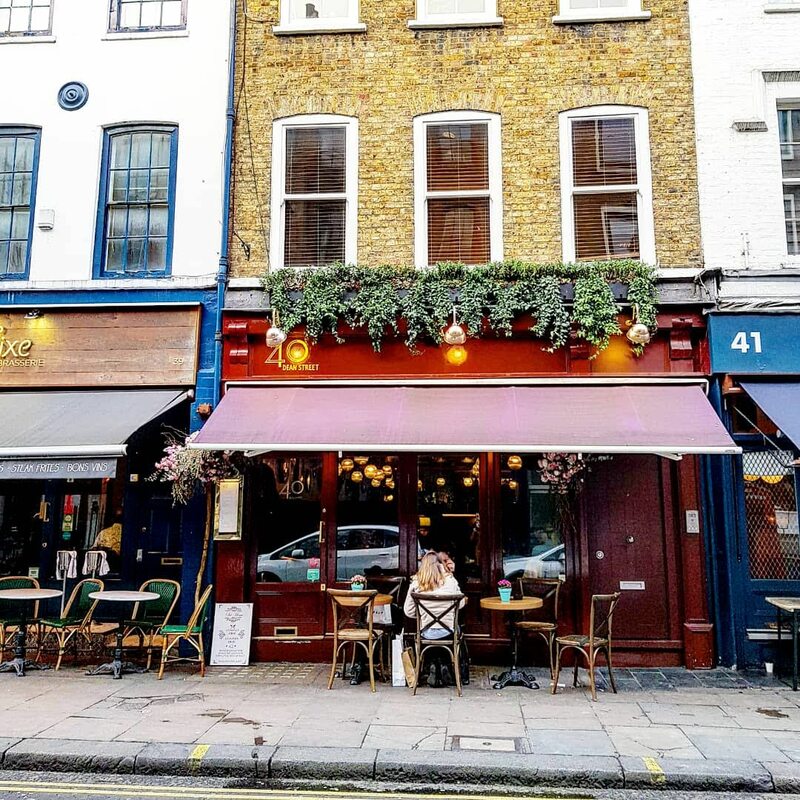 We’ve been to some great spots already, and this one, Forty Dean Street, might just get added to this list. Forty Dean Street can be found at, you guessed it, 40 Dean Street in Soho. From the outside, it looks like a cute bistro-style spot. The inside is relatively small (think independent restaurant), yet it’s got this elegant, sophisticated, slightly regal feel to it. 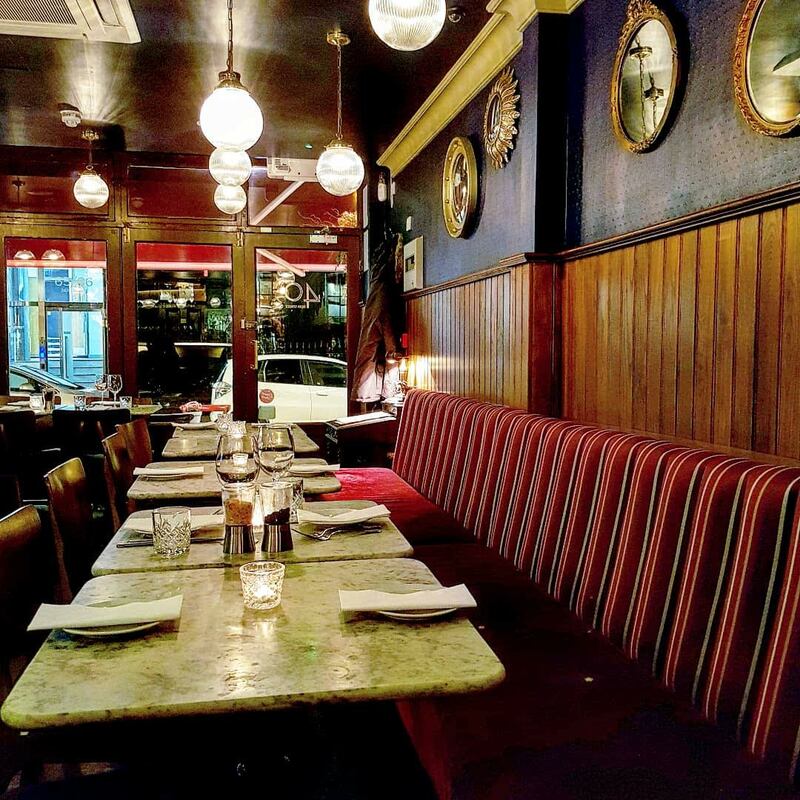 It’s all dark colours, plush booths, gorgeous metallic rimmed mirrors and marble table tops. A bit fancier than first expected. 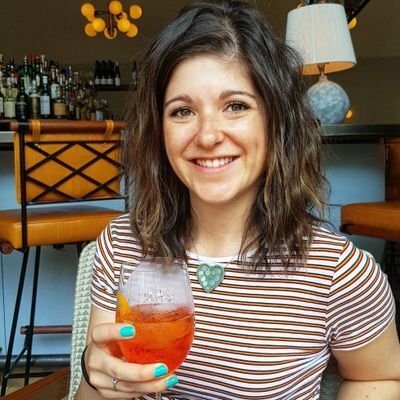 Service was very slow to start – drinks order took a while as did the starters, and they didn’t tell us they’d run out of burrata until 15 minutes after we’d ordered our food. However the tables around us didn’t seem to quite be getting the same wait, and by the time we’d finished starters, the service picked up a lot. The menu has quite the selection of authentic starters, pizza, salad, pasta and grills. 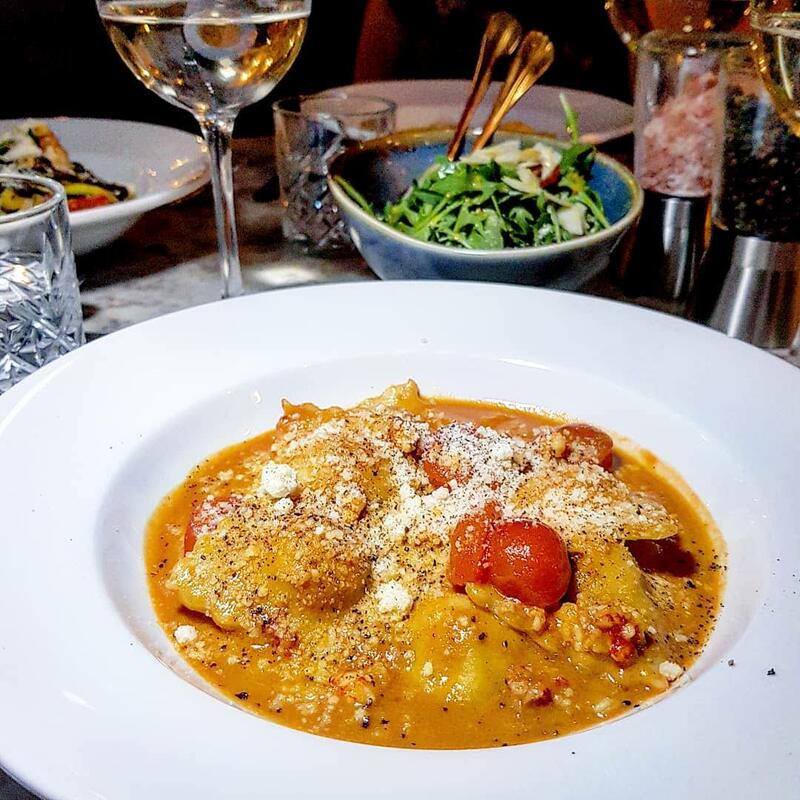 There’s plenty to choose from, and as such we did struggle to nail down choices – the salads looked so good, but I felt like I had to have pasta at an Italian..so I also had that debate to battle out. It’s definitely worth sharing starters. The Beetroot and goats cheese arancini were beautiful. Mild in beetroot flavour, and just creamy enough to hold together, they had a great crispy coating and were absolutely delicious. The aubergine Parmigiana was my fave. A hot dish of rich, cheesy, aubergine. What’s not to love? This had a fab topping and was just so tasty. 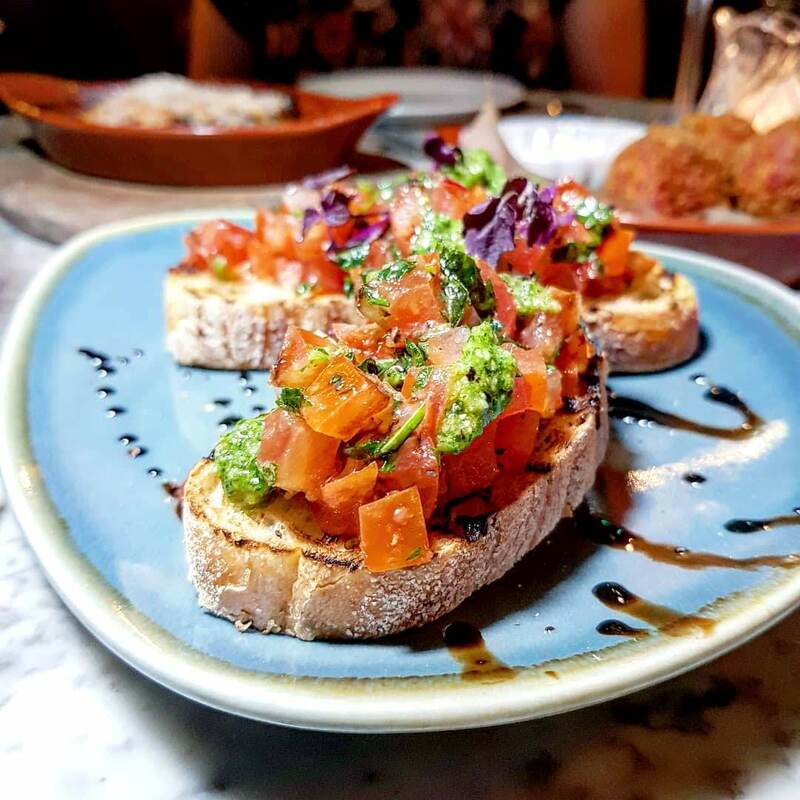 The Bruschetta with San Marzino tomatoes & fresh pesto was our substitute for the burrata – Katy is veggie so we like to try and go veggie when out for dinner altogether if sharing. The fresh pesto was plentiful, and added a superb hereby flavour. The San Marzino tomatoes giving the fresh touch. Altogether a tasty dish! It was pasta all round for mains. Well, I decided I couldn’t go with a salad at an Italian. And neither could I go for a dish from the grills menu. I wanted true, authentic cuisine. Although they did look truly delicious. All the pasta dishes were a pretty good size, and packed with flavours. 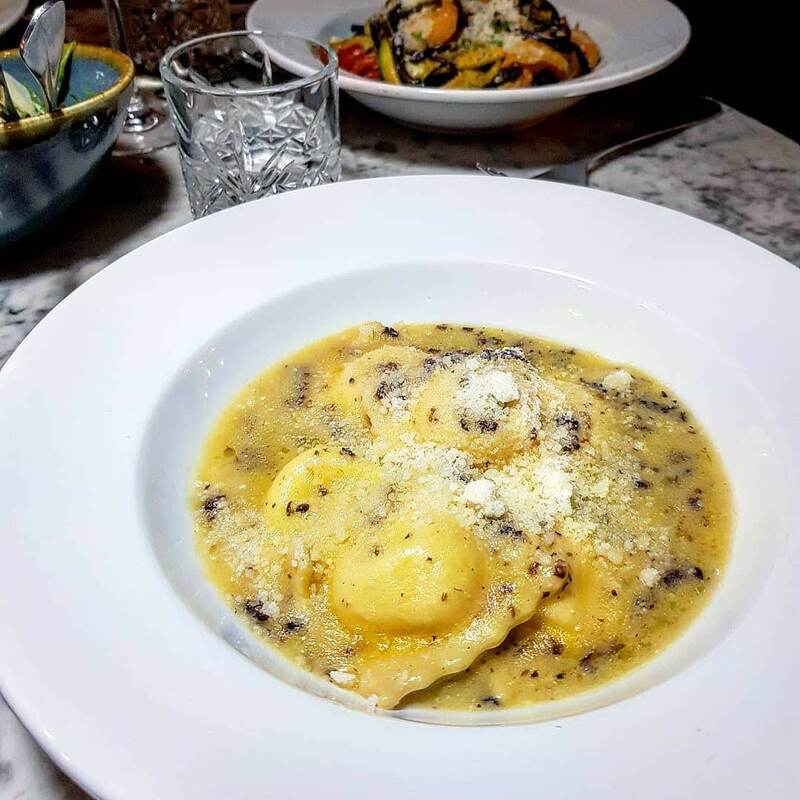 The ricotta ravioli with truffle, was creamy and very potent in truffle flavour. The ravioli itself was stuffed full with ricotta. It was a fab dish of flavours. The lobster ravioli with shellfish bisque sauce was much the same. Creamy, rich and plentiful in filling. The pasta a la dente too, and the lobster was fantastic. The shellfish bisque sauce had fresh mashed shellfish in, which added to the seafood aroma, and the whole deliciousness of the dish. Honestly, one dreamy seafood pasta dish. 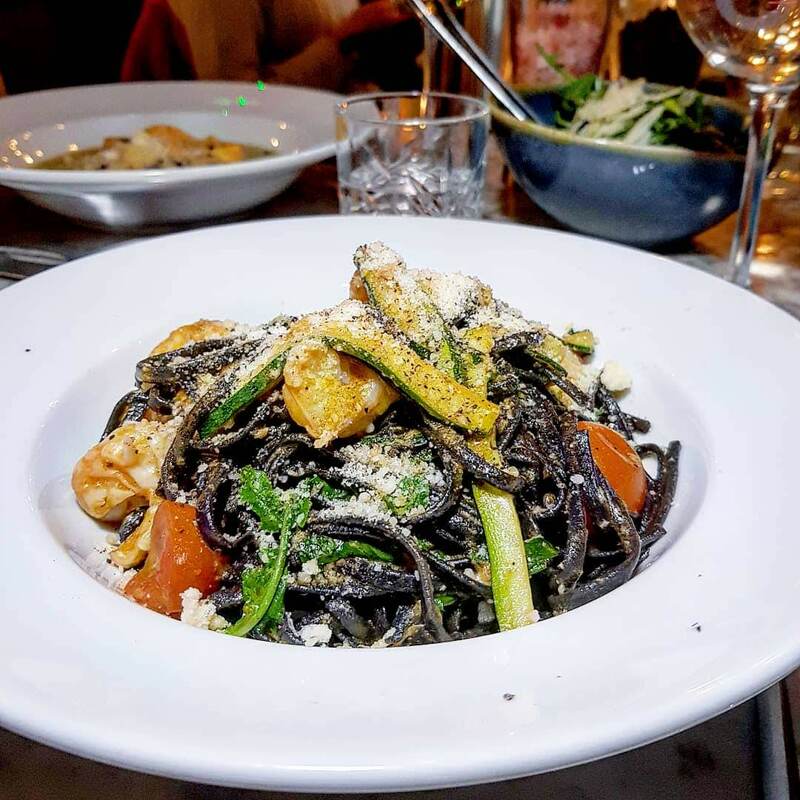 The black ink linguine with crab, prawns and courgette was great too. It was a little more subtle in flavour, without the creamy sauce. 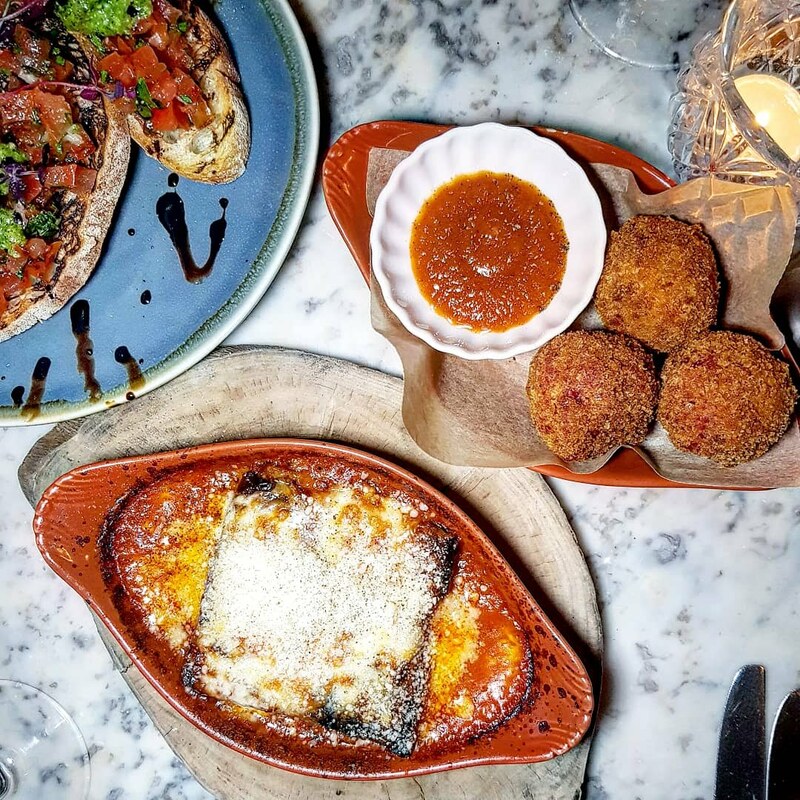 Yet the juicy prawns, roasted tomatoes and grilled courgette, along with the grated parmesan atop (because how can you say no to parmesan? ), made the dish full of fresh flavours. It certainly didn’t need the creamy sauces – which is how you can tell a good pasta dish! 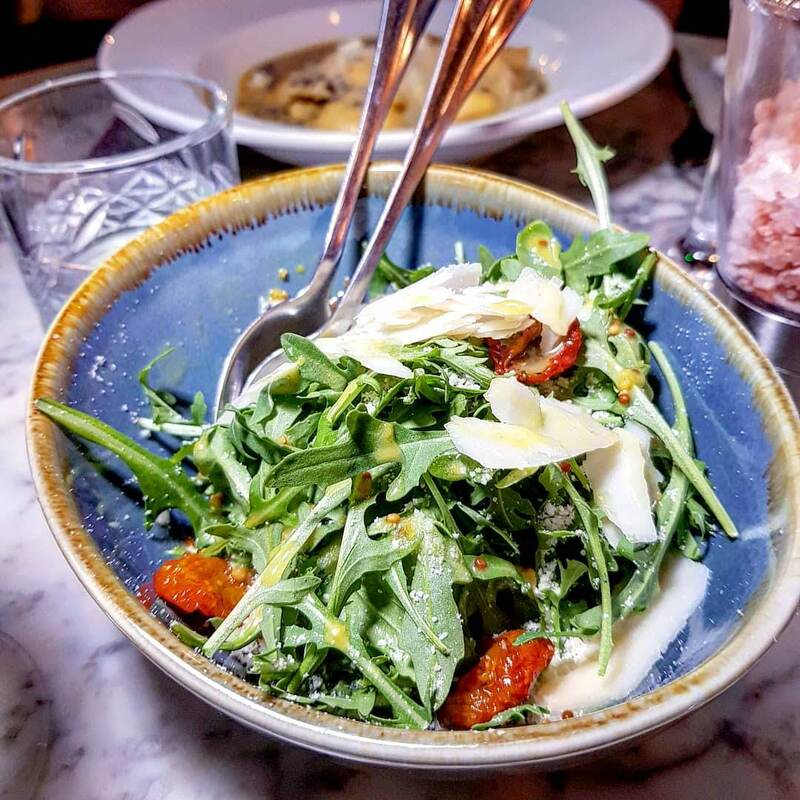 To satisfy the fresh salad craving, the rocket and parmesan side salad was a must. And quite rightly so. With fresh tomatoes, and plenty of parmesan (just to add to that already loaded on our dishes), it was a delicious fresh side to the rich dishes. 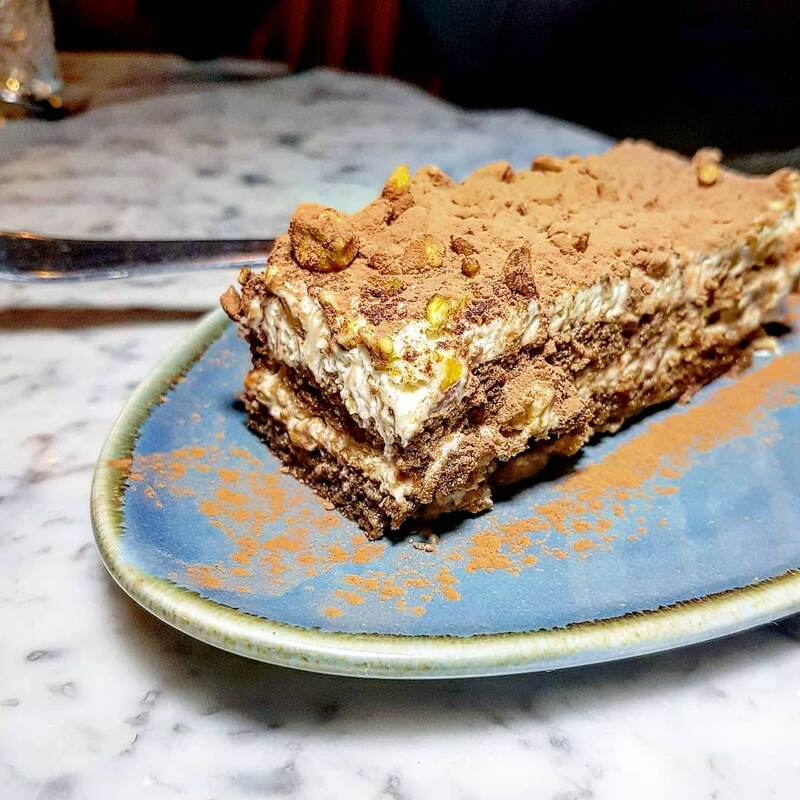 Whilst portions are pretty generous, there is quite the dessert menu – my recommendation: try save space to at least share one. The pistachio tiramisu is an indulgent and creamy number. It’s beautiful in flavour and has a crunchy, nutty twist to the classic. Fantastic alongside a glass of white, to finish a delicious Italian feast. 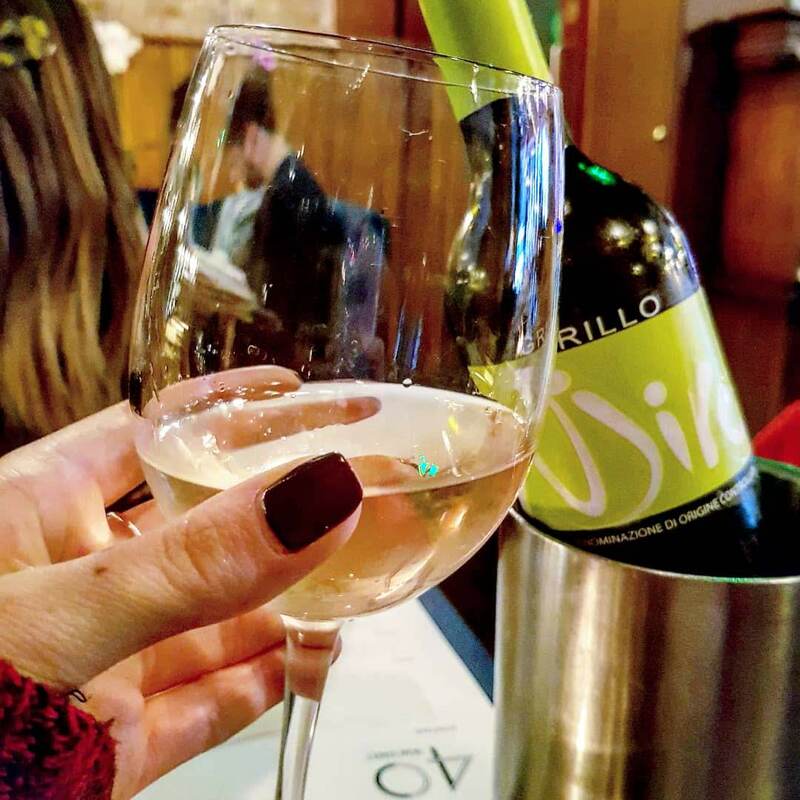 There is a wide selection of red, white and dessert wine, with a few rose and sparkling options too. We had a bottle of the house white. It was a light, not too dry white, which was tasty accompanying each of our dishes. It was easy-drinking. There’s also a handful of cocktails, aperitifs, digesifs, soft drinks and a couple of beers if that’s more your thing. 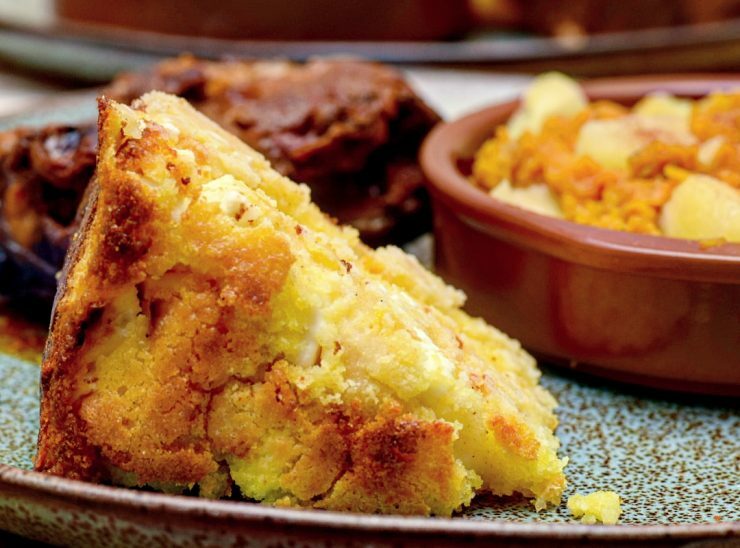 Food: Every dish we tried was beautiful in flavour, and texture. 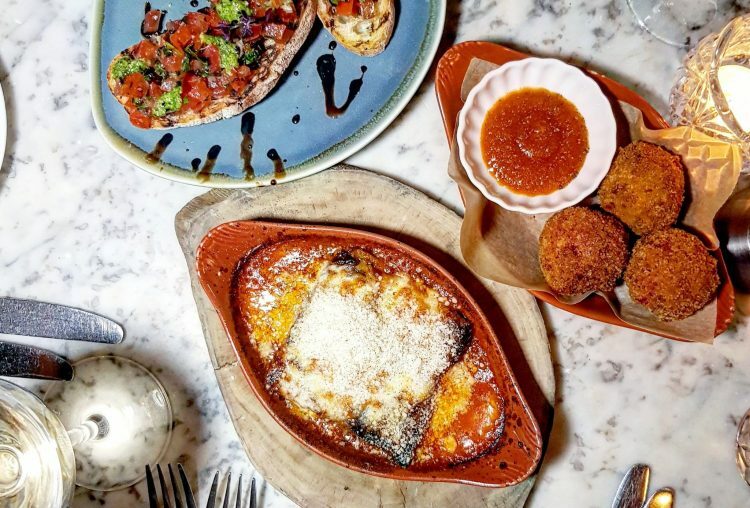 It’s definitely the spot for pasta, and that aubergine parmigiana was one fab starter. Drinks: The house white was light and pretty tasty. An easy-drinking number to accompany many of the dishes. Atmosphere: elegant, sophisticated, slight regal feel. It’s a lovely relaxed spot – service was a little hit and miss, but it picked up. Wait: I recommend booking a table as it did get VERY busy. They also have a set menu, which looks even more affordable. 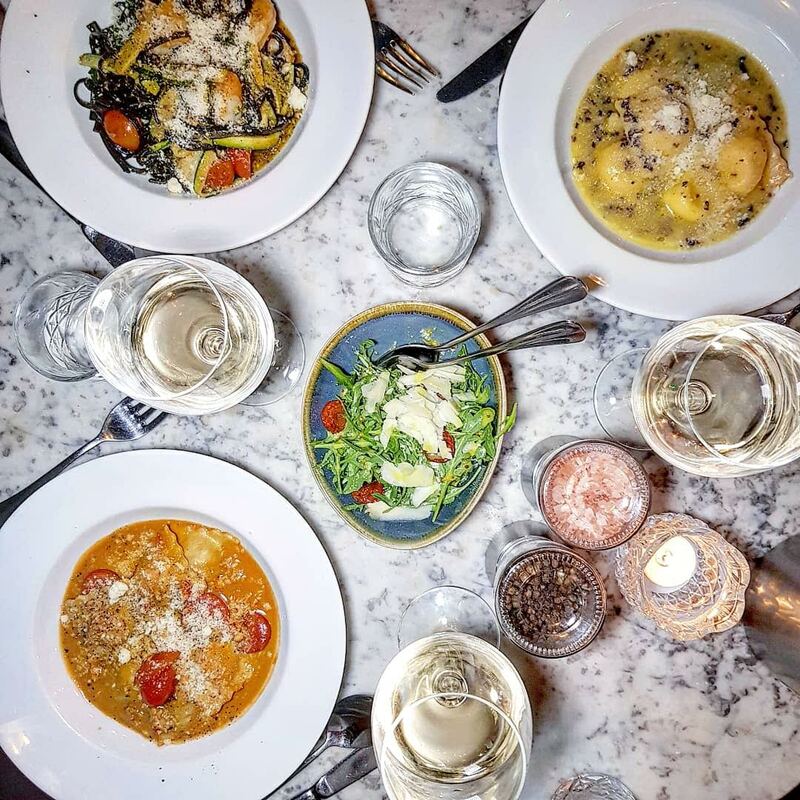 They’ve just launched a Friends of Forty lunch club card too, which gives 25% off the bill till 6pm! 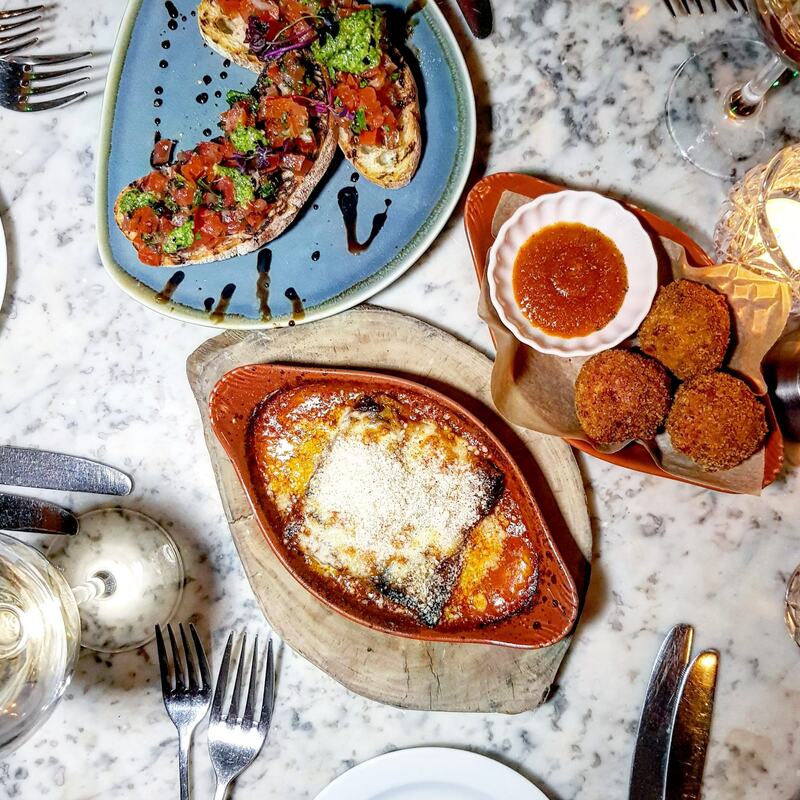 Where’s your favourite Italian restaurant? *I was invited along to review Forty Dean Street. All views my own.